Affordable tuition and training for Propellorhead Reason. London and South-East England. Reason Tuition in your own home. I can either come to you or I can help you via the internet or phone if it's more convenient. Reason 6 onwards now include the audio recording facilities that were previously included in Record and this included in my tuition. Want to create your own songs? Think you have the ideas but don't know how to get started. 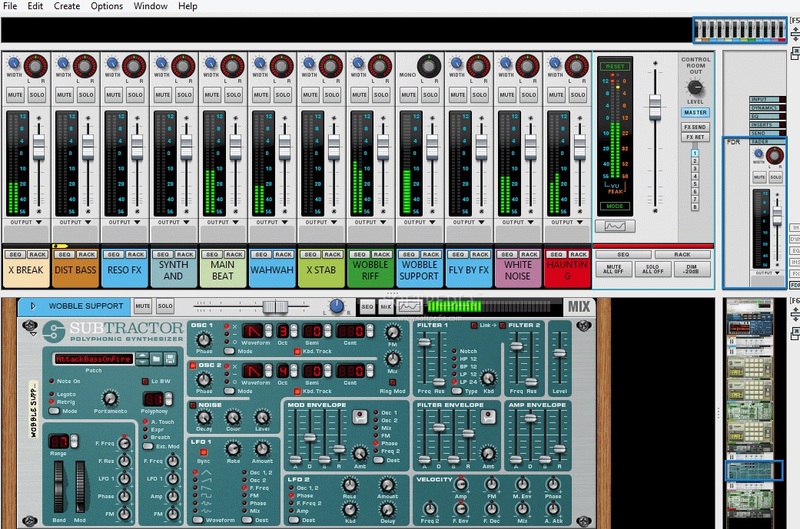 Propellerhead's Reason is the ideal music program for you. If you are going to create dance tracks using virtual instruments and samples then Reason has all you need in one package. I have set up a lesson plan for students who have no previous experience of using music software and can include musical theory in these lessons. How various instruments operate and how to get Midi in via Audigy soundcard. Basic introductions to Reason and all the instruments. MIDI editing, use of Controllers, Automation, effects and inserts. What effects can do for you, such as compression and reverb for improving vocals. Rewire and linking to Logic, Cubase, Pro Tools, Digital Performer and Ableton Live.